A 53-year-old mum is on route to Ireland as part of an incredible four-year non-stop coastal trek for charity. 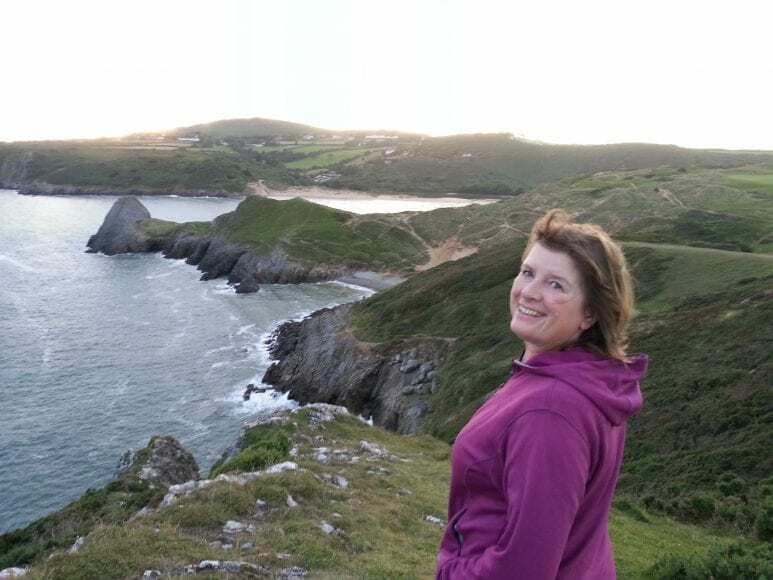 Karen Penny, a former legal professional from Wales, set off from Swansea on January 14 and is walking the entire coast of Ireland and Great Britain, arriving here in Dublin this February, to raise money for dementia research. She is hoping to be the first woman to complete this route’s continuous walk, covering around 20,000 miles and camping along the way in her tent. Karen aims to raise £100,000 for Alzheimer’s Research UK, which also supports international research and has previously worked with researchers at Trinity College Dublin. Dublin Gazette caught up with Karen during her trek and she told us she decided to do the trek for charity as her in-laws both died of dementia-related illnesses. She said: “I’m delighted to do this! I wanted to do something that would get a good amount of money. “Both my husband’s parents died from dementia-related illnesses, and it had a massive effect on me. Alzheimer’s is something that touches nearly every family. During Karen’s trek, her husband will drive out to her in a campervan to join her every six weeks. She said she will miss her family and friends the most during the four years away. This will be Karen’s first time in Ireland, and she is excited to arrive as she is already experiencing our warm hospitality. “I have never been to Ireland. Since planning this walk, I have received many offers of assistance from all over Ireland and been sent stunning pictures of coastal areas I am to visit. Karen is due to arrive in Rosslare on Sunday, February 3. You can follow Karen’s journey on Facebook here. If you would like to support her mammoth fundraising task, you can donate at JustGiving.